Blackboard Chalkboard by Ollie Stone: Chalkboard artist. 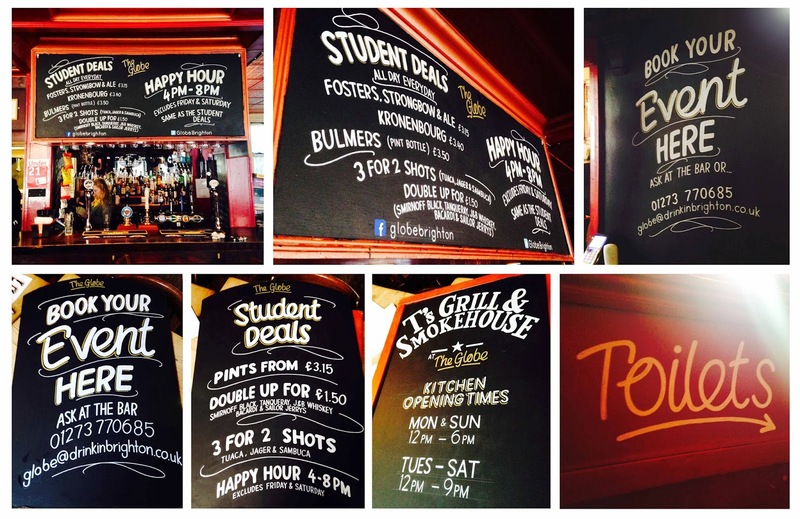 Spent Monday and Tuesday at The Globe Pub in Middle Street, Brighton re-doing their chalkboards and doing a little signwriting. Lovely.